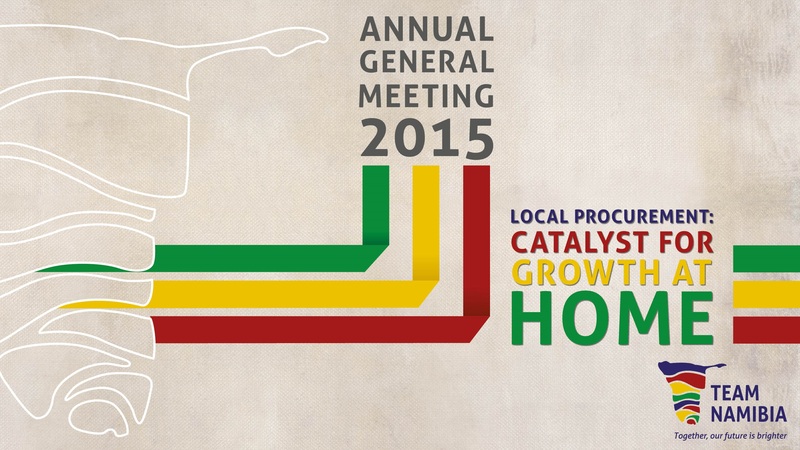 Team Namibia’s Annual General Meeting was held at the Windhoek Country Club & Resort on Tuesday 23 June 2015 under the theme “Local Procurement: A catalyst for Growth at Home”. The keynote address was delivered by Hon. 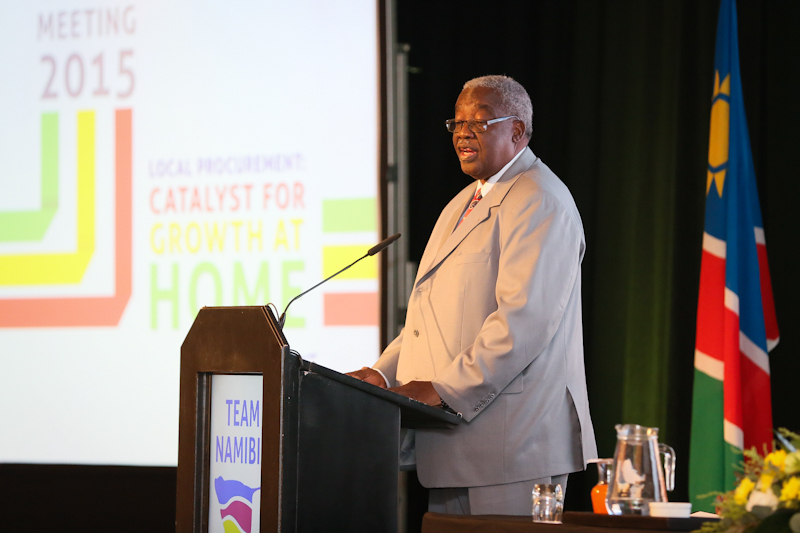 Immanuel Ngatjizeko, Minister of Industrialisation, Trade and SME Development, who provided industry with an overview of the Government led interventions currently underway, relating to the theme of local procurement and market access. Team Namibia is currently implementing its 3 year strategy to “create a sustainable competitive advantage for Namibian products and services”. 3) facilitating market access to stimulate SME growth and ultimate sustainable economic development. Tarah Shaanika announced the resignation of his own directorship and the resignations of the following board directors: Dixon Norval (Vice-Chair), Henry Feris, Karape Katjivive, Moses Shiikwa, Jaco Venter and Pauline Thomas. Six new board directors were elected by the AGM and are announced as follows: Nobert Wurm (Pick N Pay), Gideon Shilongo (re-elected director Ohlthaver & List), Peter Greeff (Etosha Fishing), Adelaide Shikongo (Oshinge Manufacturing), Robby Amadhila (Roama Gates Manufacturing), Danie Grobler (Plastic Packaging). 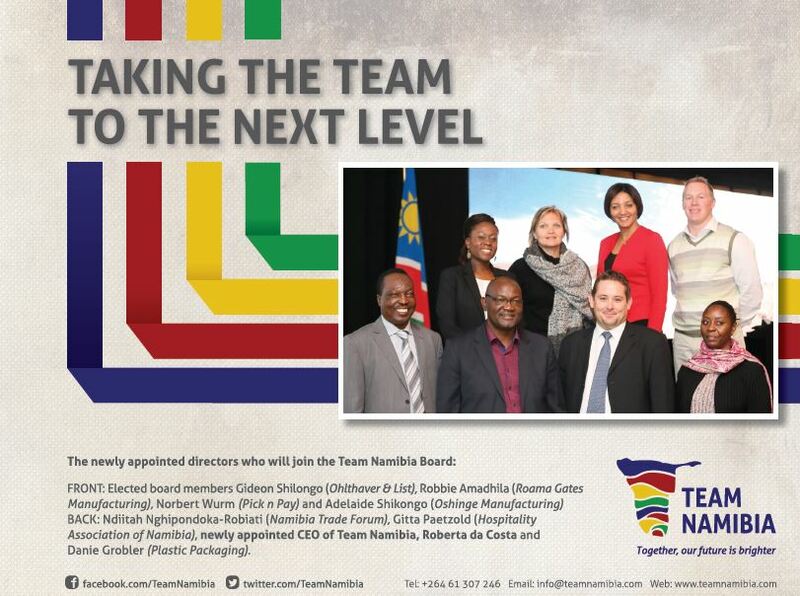 The Team Namibia board is composed of 16 directors, serving a two-year term each. 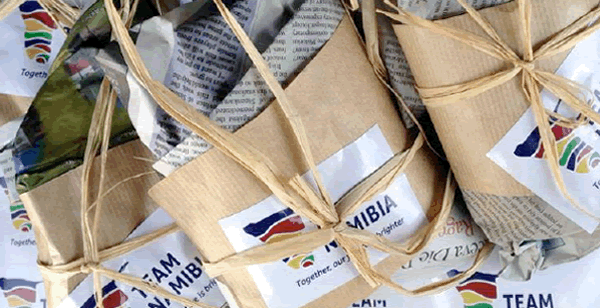 Team Namibia, endeavors to advance the country’s economically sustainable future by promoting the use of local products and services, domestically and abroad. With this in mind, the organisation undertook a social marketing approach to ignite increased public awareness by introducing a smartphone application. 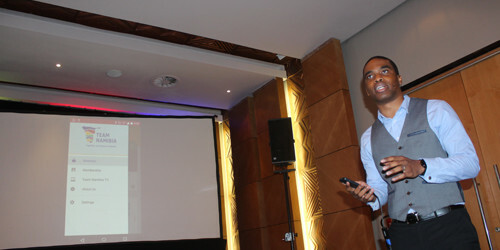 The application is aimed to keep consumers informed about Team Namibia members and their products. The mobile application was developed by Green Enterprise Solutions. It is a free download for Android and IOS devices. Mobile Applications Engineer, Michel Onwordi from Green Entreprise Solutions explains that the mobile app will consist of a directory, membership information, a link to Team Namibia TV on YouTube and general information on Team Namibia. The directory contains a direct telephone and email link to all members. The mobile application will be launched on Monday 13 July. Android version will be available on the date of launch, the IOS version will be available at a later date and will be communicated to the public. 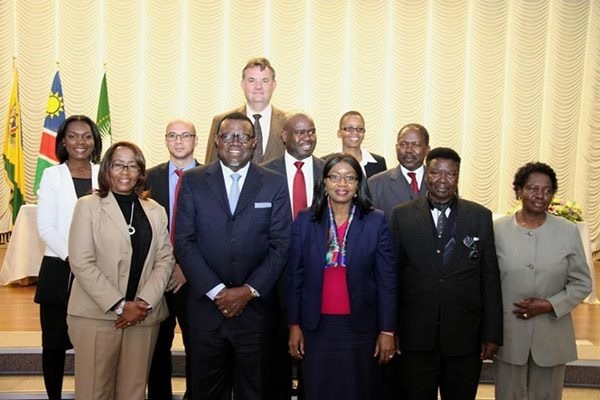 Mon 29 June 2015, the Namibia Trade Forum (NTF) and Team Namibia entered into a Strategic Partnership, formalizing cooperation between the two institutions with the signing of a Memorandum of Understanding. The MOU outlines complementary areas for implementation as the partners advance in their respective mandates, towards the realization of the National Development Plan. Team Namibia Secretariat would like to congratulate outgoing CEO Ms Daisry Mathias on her recent appointment as Youth Advisor to the President of the Republic of Namibia. We are very proud of her achievement and wish her well in her future endeavors. Ms Mathias joined Team Namibia on 17 July 2014 and has been able to make exceptional progress in driving the Team Namibia strategic focus and agenda. 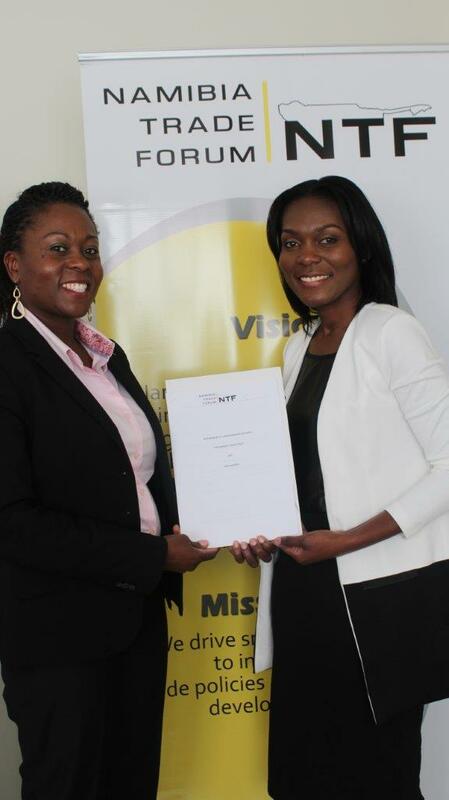 Ms Daisry will be serving on the Team Namibia Board of Directors. We are pleased to inform our stakeholders that we have progressed from what started as a concept and are now just few weeks away from delivering a tangible product. 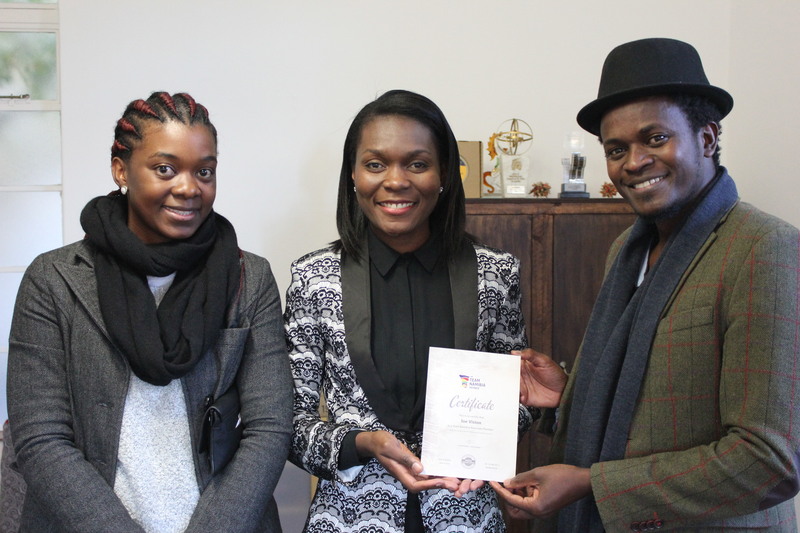 Team Namibia has started the filming and production of a 60sec television commercial, which will be the cornerstone of a national multimedia advertising campaign. 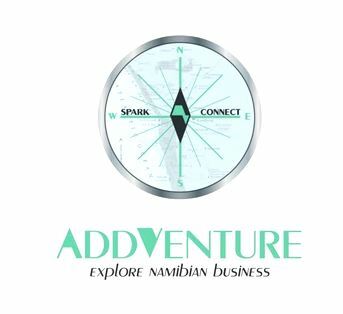 The communication objective of the television commercial and national advertising campaign is to: sensitize Namibian consumer's of the power of their purchase choice and to remind them that every dollar spent in the local economy, contributes towards the creation of a job for a fellow countryman. The National Consumer Advertising Campaign is intended to favourably influence consumer purchase behavior, evoke feelings of pride, preference, increased purchase and consumption of our locally produced goods and services. With this said, we are requesting a date with you, for end July 2015, when we will launch our National Consumer Advertising campaign. 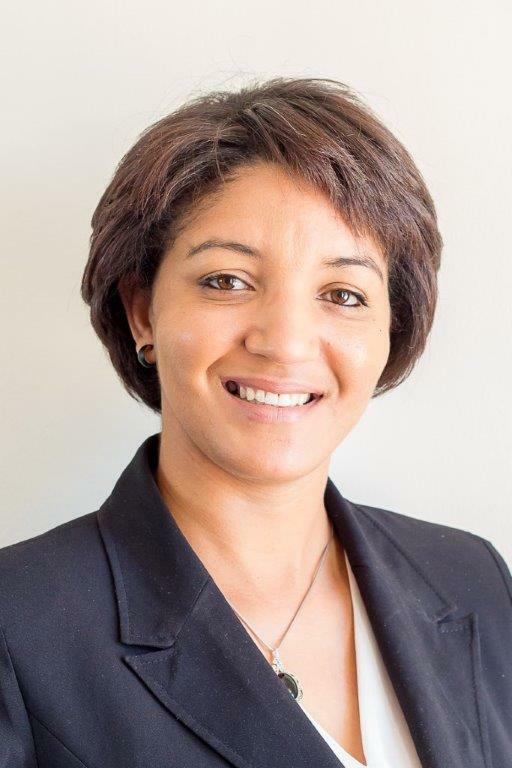 Team Namibia is proud to announce Roberta da Costa as the new CEO. Roberta assumed office on 1 July 2015. Roberta da Costa is a Public Relations Management Graduate and currently busy with her Postgraduate studies in Management specialising in Marketing through the University of Cape Town. With more than 8 years’ experience in sales, customer support and services, Roberta has developed a passion for exceptional customer service delivery and believes great customer service creates a huge competitive advantage for any establishment. She has worked for corporate giants like FNB and MTC and is currently employed at the Namibia Training Authority in the Marketing, Public Relations and Stakeholder Engagement division. Established in 2004, Joe Vision Production is a fully integrated content creation and production company. With expertise in producing Motion Pictures, commercials and corporate videos, Joe Vision Production offers an extensive network of contacts across all sectors of the industry. With a young, dynamic and creative team, Joe Vision Production has a hand on the pulse and can meet all your content needs by providing customised solutions. "AN EYE FOR STORY TELLING"